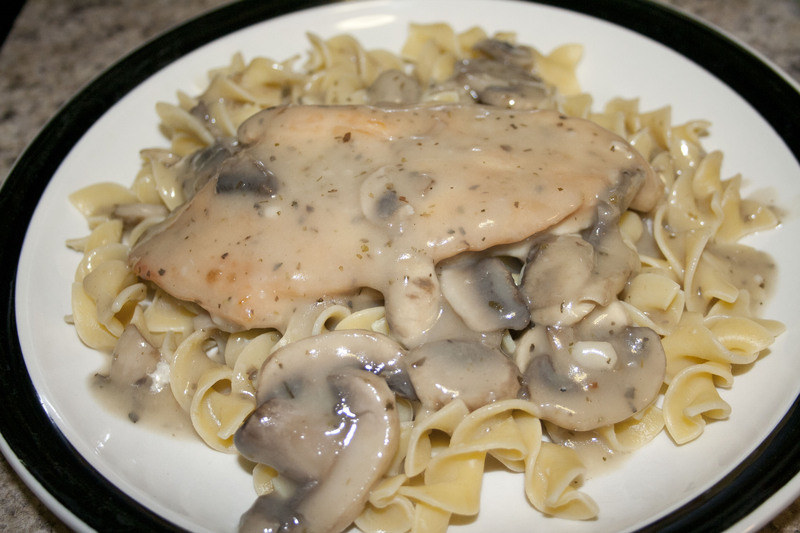 When I planned this meal, I had originally intended to make Chicken Marsala. But like a blank canvas, the original project turned into something else. Due to a lack of wine and a few other ingredients, I just decided to wing it and see what I ended up with. 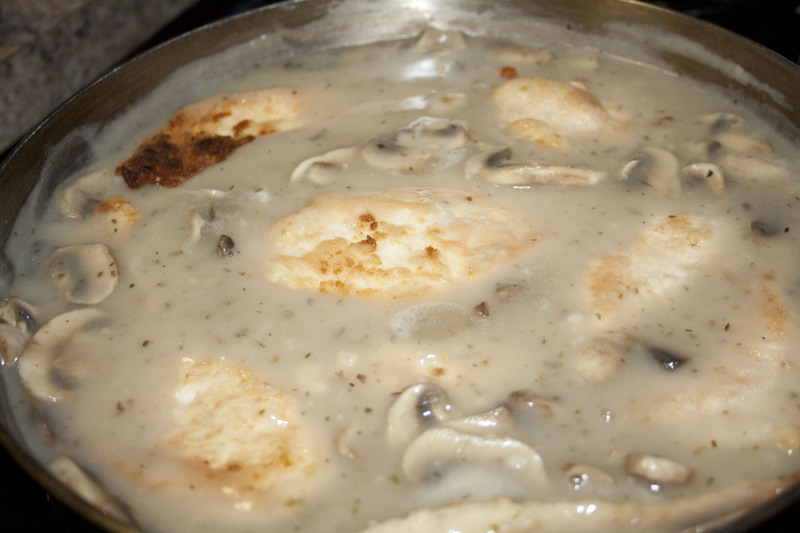 In a large skillet, melt the butter over a medium-high heat and add mushrooms once the butter is melted. Sautee the mushrooms until they are soft- about 7 minutes. 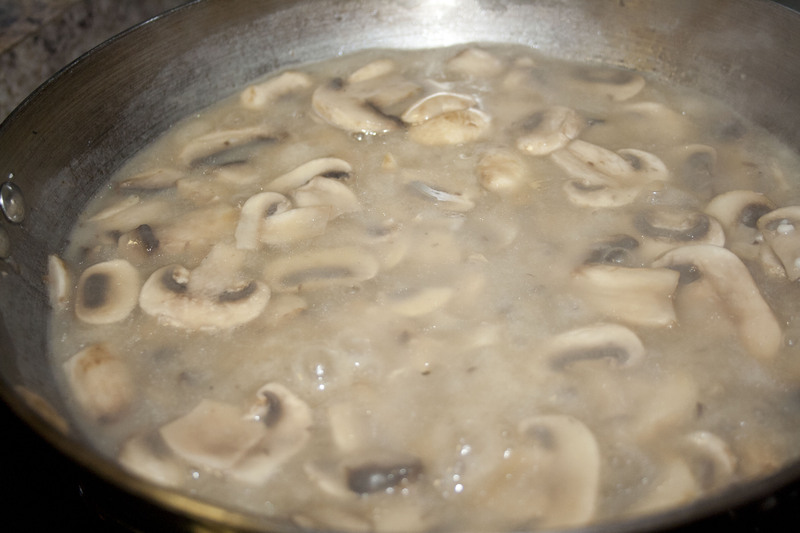 Add the cream of mushroom to the pan and stir to loosen up the thick sauce. Allow the sauce to heat up for about 1-2 minutes and slowly add in the chicken broth. Stir constantly. Once the sauce is well combined, bring to a simmer and keep over a low flame. While the sauce simmers, season with salt and pepper and then pan fry the chicken breasts. Pan fry over a medium-high heat for 4 minutes on each side. 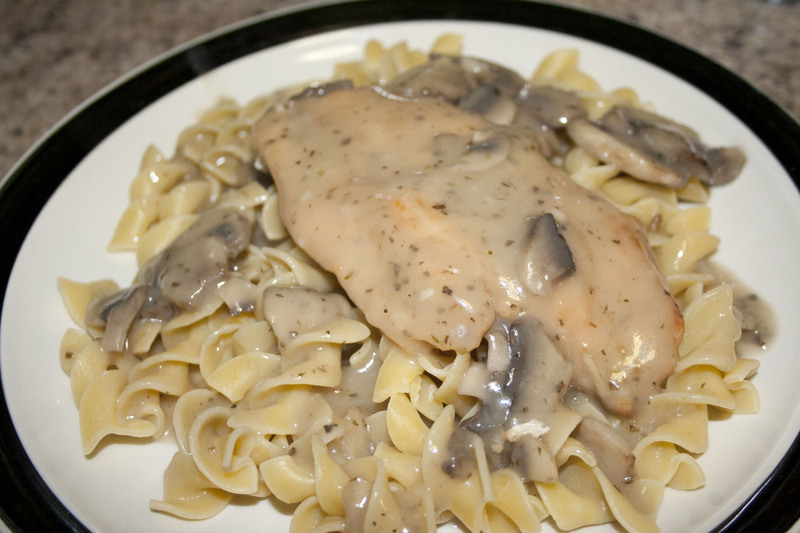 When the chicken is no longer pink in the center, add chicken to the mushroom sauce. Let simmer for about 10 minutes, covered. Prepare the egg noodles until al dente. 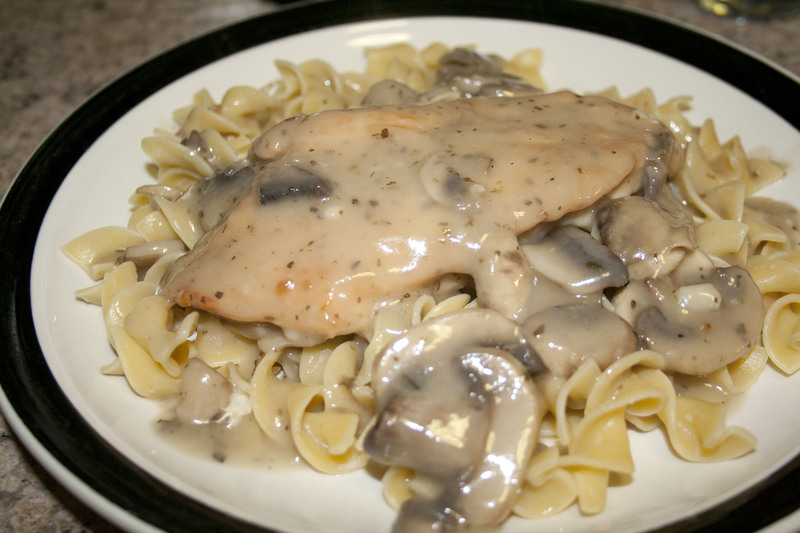 When egg noodles are done, serve and top with chicken and mushroom sauce. With the holidays approaching, my family and I are revisiting some holiday traditions. Its nice to create some nostalgia these days- this is probably not the best dish in my repertoire, but its still good. Here I am reading this at 8am and I want this for breakfast. Thanks.